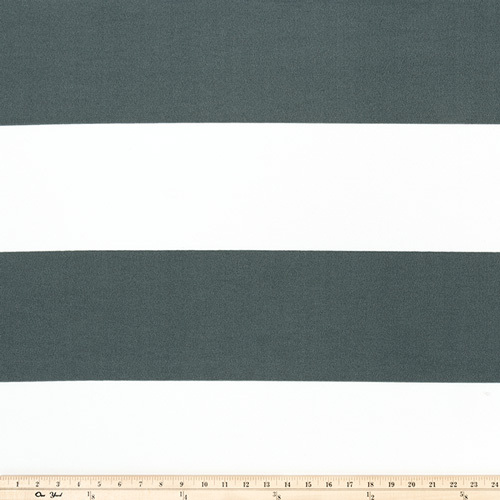 Dark charcoal gray and white striped outdoor decorating fabric. Outdoor home decorating fabric suitable for placemats, tote bags, decorative pillow covers, cushion slipcovers, awnings or light upholstery. Treated with a stain and water resistant finish. Stripes run horizontally from selvage to selvage.